Gly-Pro-Glu is a neuroprotective compound and the N-terminal tripeptide of IGF-1. Gly-Pro-Glu is neuroprotective after central administration in animal models of neurodegenerative processes, such as Huntington’s, Parkinson’s, Alzheimer’s diseases, and varies acute brain injury animal models. The neuroprotective activity is not related to its affinity to glutamate receptor. Findings indicate that GPE mimics insulin-like growth factor I effects on the somatostatin system through a mechanism independent of β-amyloid clearance that involves modulation of calcium and glycogen synthase kinase 3β signaling. GPE is a naturally occurring peptide fragment which had been in phase III clinical trials at Neuren Pharmaceuticals for use as prophylactic neuroprotection for patients undergoing coronary artery bypass graft (CABG) and valvuloplasty surgery. Although clinical evaluation in Australia continues, phase III trials evaluating the compound in the U.S. were discontinued based on negative results. The compound is found in normal brain tissue and, when injected intravenously, has been shown to act by multiple pathways to protect brain tissue from injury. The drug was originally developed by Pfizer, but rights were transferred to Neuren pursuant to a proprietary agreement between the companies. This tripeptide has 3 pH-sensitive groups, each with its own pKa. What the university chemists needed to do was work out what form GPE is in when it is active in the brain, what parts of the molecule are critical to its effectiveness, and how to ‘tweak’ the molecule (by changing the side chains) so that it will remain in the brain for longer than the naturally-occurring substance. They also needed to make sure the final compound passes through the blood-brain barrier (that prevents most substances in the blood from entering and affecting the brain). If possible, they also wanted a compound that could be taken in pill form without being broken down in the stomach. It was also essential that the compound was safe for people to take! After initial work on GPE at the university, the research was passed to a spin-off research group called Neuren Pharmaceuticals Ltd, which takes compounds discovered by the University of Auckland and develops them into medicines. Neuren developed GPE intoGlypromate® and are working with researchers in the US (including the US Military, who have a keen interest in a medicine that will reduce brain damage after head injuries) to test the compound on patients. There is considerable interest in Glypromate® world-wide, because at present there is nothing that reduces cell death after brain injuries. The chances of winning a race are pretty high when you’re the only competitor!Glypromate® is being tested on heart-bypass patients because up to 70% of bypass patients are affected mentally after their surgery. It’s thought that tiny clots form after the heart is restarted, and that these travel to the brain and cause mini-strokes. Unlike naturally-occurring strokes, or the brain damage caused by accident or war, the bypass surgery is planned, so before and after tests can be done on the patients to see exactly what effect the treatment has. Early results look very promising. Glypromate is just one of the compounds Neuren is working on. Others may develop into treatments for Multiple Sclerosis, Parkinson’s Disease or Alzheimer’s Disease as well as various kinds of cancer. The company’s links with overseas research groups mean that compounds developed in New Zealand are able to be tested in the US and gain the FDA approval which will allow them to be used in most countries in the world. The tripeptide Glycyl-L-Prolyl-L-Glutamate (Gly-Pro-Glu or GPE) is a naturally occurring peptide, which is proteolytically cleaved from insulin-like growth factor-1 (IGF-1). IGF-1 is a potent neurotrophic factor produced endogenously in damaged regions of the brain. It has been postulated that some of the neuroprotective actions of IGF-1 are mediated by GPE although the precise mechanism of action remains unclear. 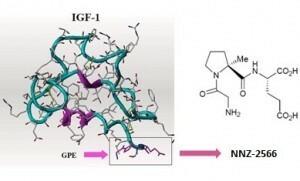 GPE has a different mode of action to IGF-1 as GPE does not bind to the IGF-1 receptor. Rather, GPE has been shown to bind with low affinity to the N-methyl-D-aspartate (NMDA) receptor and also elicit a biological response via other mechanisms. GPE facilitates the release of dopamine through interaction with the NMDA receptor but GPE stimulated acetylcholine release is via an unknown, non-NMDA pathway. It has been demonstrated that GPE can act as a neuronal rescue agent following brain injury or disease, including hypoxic-ischemic brain injury, NMDA challenge, chemical toxins and in animal models of Parkinson’s and Alzheimer’s disease. Analogs of GPE are thus of interest in the development of novel pharmaceutical agents for the treatment of central nervous system (CNS) injuries and neurodegenerative disorders among others. Neuren Pharmaceuticals was developing Glypromate (glycine-proline glutamate), a naturally occurring small-molecule neuroprotectant derived from IGF-1 which inhibits caspase III dependent apoptosis, for the potential treatment of neurodegenerative diseases by iv infusion. By June 2008, a phase III trial had begun . However, in December 2008, the company discontinued further development of the drug after it failed to show an observable effect . In November 2005, the company was seeking to outlicense the drug . 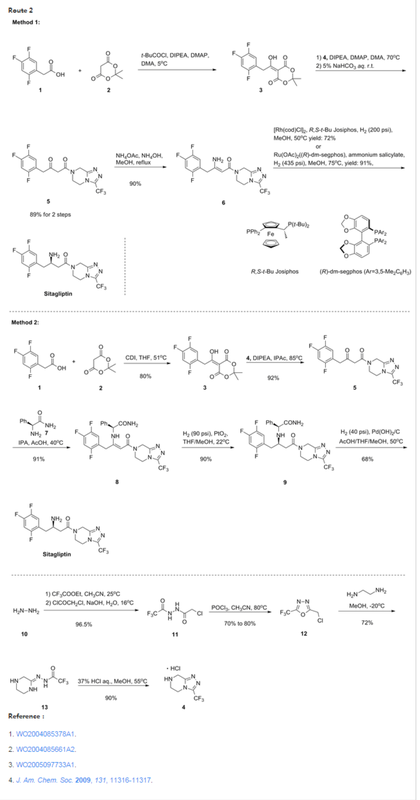 Neuren is also investigating the Glypromate analog, NNZ-2566 for similar indications. In August 2006, Neuren expected Glypromate to be eligible for Orphan Drug status for neurodegenerative diseases and planned to apply for Fast Track status for the drug. SYDNEY, Australia, Sept. 4 /PRNewswire-FirstCall/ — Neuren Pharmaceuticals today announced that physicians from Madigan Army Medical Center (Madigan) in Tacoma, Washington, will conduct an investigator- initiated Phase 2 trial to determine the safety and efficacy of Glypromate(R) in reducing brain injury caused by out of hospital cardiac arrest. The trial will start in mid-2007 and will be managed by The Henry M. Jackson Foundation for the Advancement of Military Medicine (Jackson Foundation) in consultation with the clinical investigators at Madigan. The proposed study will be an investigator-initiated study which means that the Investigational New Drug (IND) application will be submitted to the FDA by the Army investigators rather than by Neuren. Neuren will provide the drug product as well as access to preclinical, clinical and regulatory documents related to Glypromate(R). The Company’s only financial commitment will be compensation to the Jackson Foundation for administrative costs incurred in coordinating the study. 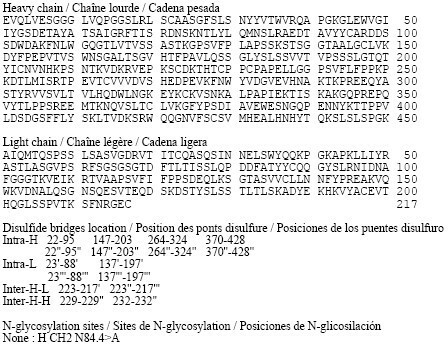 Neuren will retain all commercial rights to Glypromate(R) in these indications. Cardiac arrest involves the sudden, complete cessation of heart function and circulation leading rapidly to neurological and other organ system damage. Among patients who survive, the consequences of neurological damage resulting from lack of blood flow and oxygen to the brain represent the primary adverse outcomes. This occurs in up to 80% of survivors and causes cognitive impairment such as occurs in patients undergoing major cardiac surgery, the focus for Neuren’s upcoming Phase 3 study with Glypromate(R). However recovery without residual neurological damage after cardiac arrest is rare. There are no drugs approved to reduce the neurological damage caused by cardiac arrest. Neuren believes that Glypromate(R) for this indication will be eligible for Orphan Drug designation. Orphan Drug designation provides for a period of market exclusivity following approval as well as possible access to US government grants. In addition, because of the serious nature of neurological impairment resulting from cardiac arrest and the lack of available drug therapy, Neuren intends to apply for Fast Track designation which provides for accelerated clinical development and review. While the Army’s investigator-initiated trial will focus on out of hospital cardiac arrest, if this trial is successful, Neuren, the Jackson Foundation and the Army investigators are considering additional trials of Glypromate(R) to reduce brain damage resulting from related conditions including in-hospital cardiac arrest and treatment of patients with ventricular fibrillation, the heart rhythm disturbance associated with more than 75% of cardiac arrests. Under the agreement, the Jackson Foundation will provide support to the Army investigators in clinical trial preparations, protocol development, obtaining human subjects clearance, coordination of patient enrolment, data management and analysis, and preparation of study reports. Approximately 300,000 deaths result from cardiac arrest in the US each year, making cardiac arrest one of the leading causes of death. According to the American Heart Association, each year approximately 160,000 people in the US experience sudden cardiac arrest outside of a hospital or in a hospital emergency department. Neuren estimates that the number of patients in the US that could be treated for out of hospital cardiac arrest and related indications is approximately 400,000 which could represent a potential market of US$800 million. Madigan Army Medical Center, located in Tacoma, Washington, is one of the major US Army medical centers, providing clinical care to over 120,000 active, reserve and retired military personnel and dependents. The hospital has a medical staff of more than 1,000 with 200 physicians and nurses in training. Madigan’s Department of Clinical Investigations, which is dedicated to writing, performing, and regulating clinical research, is conducting approximately 200 clinical trials across a wide spectrum of indications from Phase I to IV. The Jackson Foundation is a private, not-for-profit organisation that supports the US military in conducting medical research and clinical trials and has established relationships with more than 160 military medical organisations worldwide. It was founded in 1983, in part, to foster cooperative relationships between the military medical community and the private sector, including pharmaceutical sponsors. The Jackson Foundation manages Phase I – IV clinical trials utilizing an established network of military medical centers across the United States. 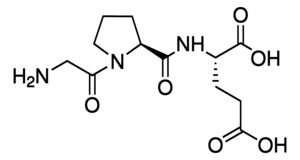 Glypromate(R) is a peptide fragment of IGF-1 and is being developed by Neuren as a potential therapeutic candidate for diseases caused by some forms of chronic or acute brain injury. Glypromate(R) has been shown to act by multiple pathways to protect brain tissue from injury. Neuren has successfully completed a Phase I safety study and a Phase IIa safety and pharmacokinetics study and plans to initiate a Phase III study in late 2006. Neuren Pharmaceuticals is a biotechnology company developing novel therapeutics in the fields of brain injury and diseases and metabolic disorders. The Neuren portfolio consists of six product families, targeting markets with large unmet needs and limited competition. Neuren has three lead candidates, Glypromate(R) andNNZ-2566, presently in the clinic in development to treat a range of acute neurological conditions, and NNZ-2591, in preclinical development for Parkinson’s and other chronic conditions. Neuren has commercial and development partnerships with the US ArmyWalter Reed Army Institute of Research, Metabolic Pharmaceuticals,UCLA Medical Center and the National Trauma Research Institute in Melbourne. This isn’t a Fragile X trial, but the Neuren compound, NNZ-2566, that is in trials now for Fragile X has shown significant positive effects in a Phase 2 trial for Rett syndrome. The results of the trial are interesting, in that improvement was seen a Rett syndrome-specific rating scale compared to placebo, and there was also improvement noted on the CGI-I (Clinical Global Impression of Improvement) and Caregiver Top 3 Concerns. However, there was no effect seen on ABC scores (Aberrant Behavior Checklist) compared to placebo. 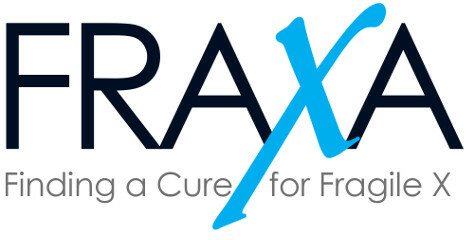 Many in the Fragile X field have noted the inadequacies of the ABC; indeed, it was never designed or intended to be an outcome measure for clinical trials. In this case, a Rett-specific rating scale called the Motor-Behavior Assessment (MBA) showed a statistically significant and clinically meaningful treatment effect at the highest dose of the Neuren compound compared to placebo. It shows that this compound really does something—it seems to have useful properties in actual patients, and that’s not trivial. It demonstrates that disease-specific symptoms can improve significantly on the drug, and that improvement can be measured in a relatively short clinical trial. It shows that a drug can have beneficial effects on core features of a genetically based developmental disorder, even if the more general rating scales (like the ABC) show no change. This last point is strongly reminiscent of the experience of many families and clinicians in recent Fragile X clinical trials, where the drugs showed no advantage compared to placebo based on rating scales, but genuine improvement was noted in many subjects, with significant deterioration upon discontinuation of the drugs. Thus the calls for improved rating scales which can “capture” these core, disease-specific therapeutic effects. The NeurenFragile X trial is using some Fragile X-specific outcome measures which will hopefully lead to similar positive results. The fact that this result is good news for Neuren also means that the company should remain financially viable for longer, so that they can continue the development of this compound for a number of indications—more “shots on goal”. Of course, the usual caveats apply: this was a small study, and these results need to be replicated in a larger Phase 3 trial. Still, there’s a realistic possibility that we may see a similar result in Fragile X! By DR ANTHONY MELVIN CRASTO Ph.D in Peptide drugs, Phase3 drugs on March 31, 2016 .